Can Huskers' Second Level Take the Blackshirts to Another Level? Back in 2013, then-Wisconsin coach Gary Andersen brought in Dave Aranda to be his defensive coordinator, ushering in an era of 3-4 defense in Madison. In the four years since, Wisconsin has finished in the top 10 nationally in total defense. Aranda has since moved on, but the 3-4 remains at Wisconsin and the Badgers have continued to be one of the best defensive teams not only in the conference, but in the country. Fast-forward to 2017 and Mike Riley is seeking to follow in Andersen’s footsteps, bringing in Bob Diaco to transition Nebraska to a 3-4 scheme. However, current Wisconsin coach Paul Chryst hasn’t heard from Nebraska Coach Mike Riley looking for tips. Taking a defensive lineman off the field to add another linebacker places a premium on the second level, and Wisconsin has had some serious talent at the linebacker position with the likes of TJ Watt, Vince Beigel, Joe Schobert and Chris Borland hearing their names called during the NFL Draft over the last three years. Depth and talent at the position is key for success in the 3-4. 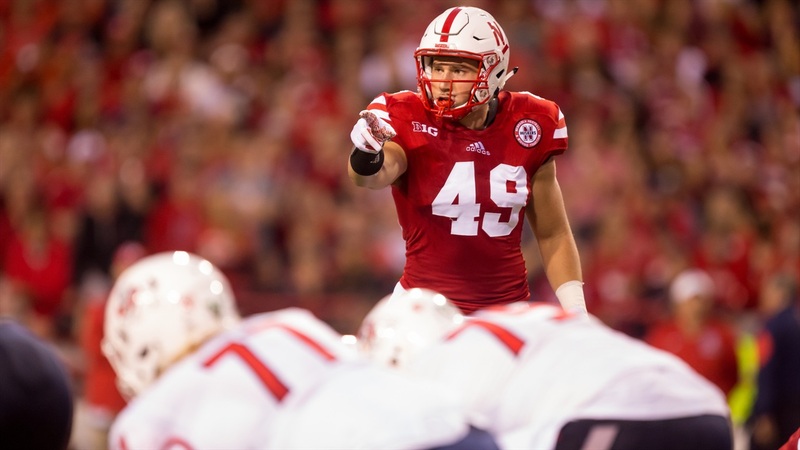 Camp still has to play out for the Huskers too and rotation spots are up for grabs, but on paper it seems like depth at linebacker should be a strength of the Huskers as well. Nebraska has 16 linebackers on scholarship for 2017 including eight with experience on at least special teams and eight true or redshirt freshmen. Marcus Newby and Luke Gifford provide a reliable duo at field-side linebacker and Nebraska is still sorting out the boundary outside linebacker rotation, but it all starts in the middle and Nebraska has two veteran starters in the middle in senior Chris Weber and junior Dedrick Young II. "Those two inside linebackers, you just don't have to worry about those guys in any phase; the football phase, the school phase, life - Chris Weber and Dedrick Young," Coach Mike Riley said after Saturday's practice. "To me that's tremendous leadership. They do everything they're supposed to do, they're great examples." Weber, a former walk-on, got a chance to start as a sophomore when starter Josh Benderas went down with injuries, and Weber responded by racking up 36 tackles in three games before suffering an injury himself. However, Banderas stayed healthy throughout 2016 and Weber saw his role cut back to being primarily a special teams contributor. Now Weber is in line to be the starter and a leader of the unit. Communication is key for inside linebackers in a 3-4, and Weber is trying to embrace his new role. “I’d much rather just be a lead-by-example guy, but the great thing about it is when you get outside your comfort zone a bit good things happen,” Weber said. Weber has been an inside linebacker his whole career at Nebraska, but his partner Young is making that transition after starting at outside linebacker his first two seasons in Lincoln. “I think Dedrick did great last year where he was but I think inside the box and how we’ll use him in this defense, I think he’ll absolutely excel,” Weber said. Weber said he anticipates a smooth transition as the pair adjust to the new scheme. According to Edwards, the ability to communicate and the chemistry between the two inside linebackers is vital to the defense. Wisconsin junior Jack Cichy is also very familiar with what it takes to succeed at inside linebacker in a 3-4. The coaches seem to think Weber and Young have that toughness. But the real test will begin on Sept. 2. Fans have plenty to get excited about with the new scheme, but it is ultimately on the players to make it work. Do the Huskers have really good players? We will find out soon.